2. Trail work 07 Thu. 3. Trail work 08 Fr. 4. Trail work 09 Sat. 5. Trail work 10 Sun. 6. Day off. 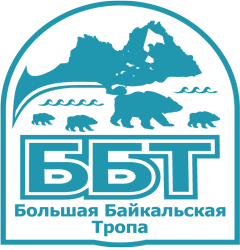 Excursion to the ornithological station of the Baikal Biosphere Reserve 11 Mon. 7. Trail work 12 Tue. 8. Trail work 13 Wen. 9. Trail work 14 Thu. 10. Trail work 15 Fr. 11. Trail work 16 Sat. 12. Trekking in the upper reaches of the trail Osinovka 17 Sun. 13. 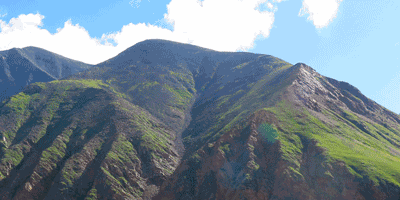 Trekking to the upper reaches of the Osinovka River 18 Mon. Preliminary scope of work: Volunteers will do the work on the trail, which suits to the active tourism lovers. Clearing the corridor of the trail, excavating the soil, building structures. The team must have the crew leader (brigadier), who organizes the work of the volunteers and the life of the group in the camp, and an interpreter providing communication between participants and organizing a cultural program on the project. Depending on the weather and the condition of the group, the crew leader has the right to change the daily routine. The average working day is 6 hours with a break for lunch. Food and equipment for the project are provided by “GBT-Buryatia”. Every project has 2 days for fun activities. The activities can vary due to the project (excursions, sauna, sunbathing on the beach, rafting, etc.). Cost: The total contribution for the project, which includes food, travel, cultural program and accommodation in the tent camp during the project, is 15,000 rubles (250 USD, 215 EUR). To reserve your spot as GBT volunteer you must pre pay 20% of the project fee (3,000 rubles, $ 50) in advance. That will help organization and administrative expenses prior to the start of the project. Prepayment is NOT refundable. Get vaccinated against tick-borne encephalitis prior to the start of the project. “Travel, benefit the environment – plan and built Baikal Trails!”.